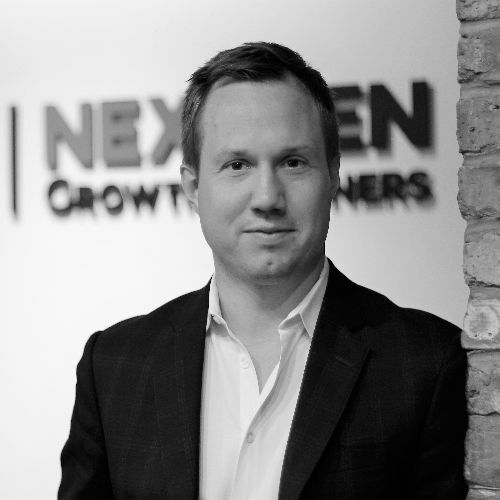 Prior to founding NGP, Brian served as co-CEO and Head of Business Development of Innflux, a hospitality-focused IT service company, where he oversaw sales / marketing, business development, M&A and investor relations functions. Innflux was sold to strategic buyer Thing5 in January 2015, after 3.5 years of significant growth. Brian became involved with Innflux after acquiring the business through his search fund Fellowship Capital Partners (“FCP”) in 2011. Brian received a BBA from Miami University (Ohio) and an MBA from Chicago Booth.